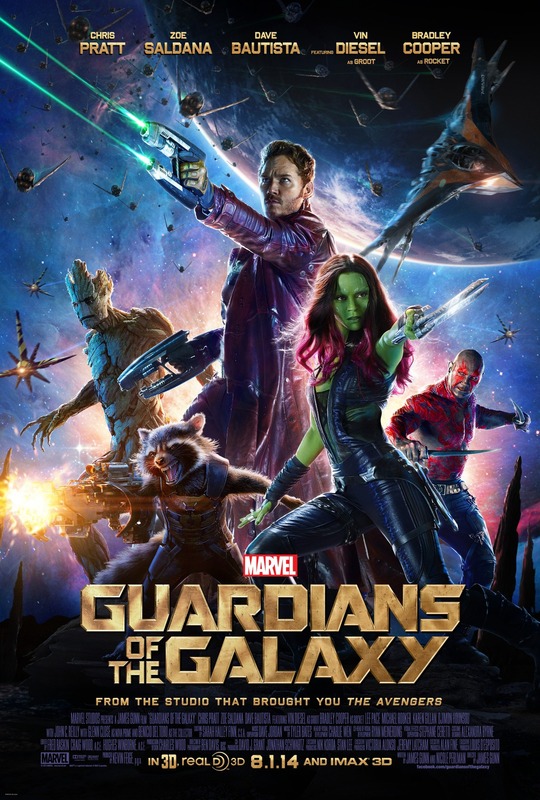 The one Marvel film that everyone had reservations about just may be the best. In 1988, a young boy loses his mother to cancer. As he runs out of the hospital, in grief, a light shines on him from above. He is taken into a spaceship. Flash forward to 2014 and that boy is Peter Quill, aka Star-lord, wannabe intergalactic outlaw. 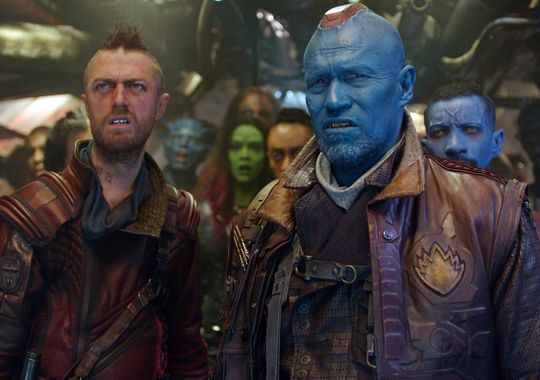 He steals a metal orb, and tries to collect the reward, double crossing his boss- Yondu, the man who snatched him as a boy. 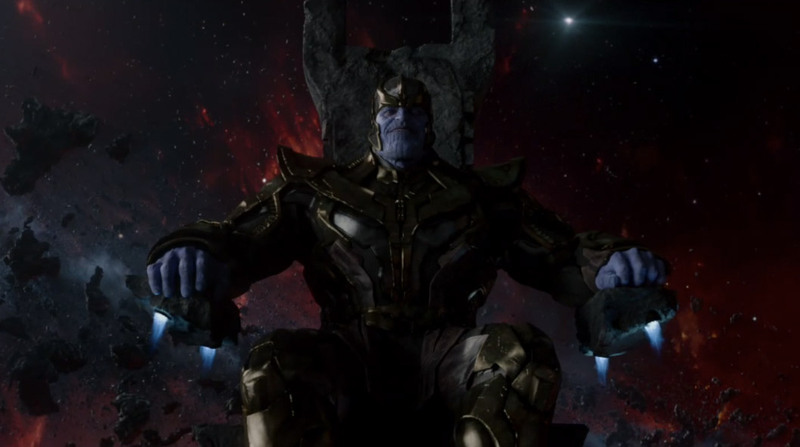 The orb contains an Infinity Gem, and Thanos, most evil being in the universe, wants it. 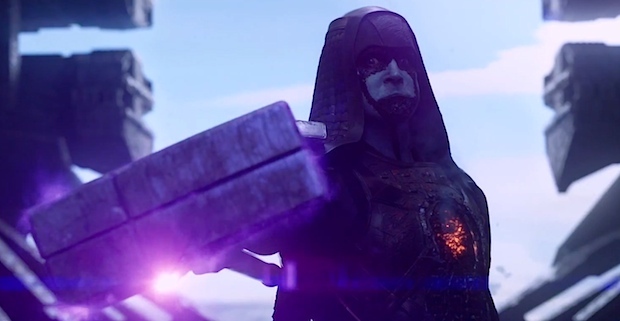 He has enlisted Kree Warlord/maniac Ronan the Accuser to retrieve the stone for him. In return, Thanos will destroy Xandar, home of the Nova Corps- intergalactic cops like the Green Lanterns. Ronan sends Gamora, adopted daughter of Thanos out to get the orb from Quill. Along the way, Rocket Racoon, genetically modified Racoon, and Groot, giant talking tree, find Quill and want to collect that bounty. All of our characters get into a fight in the streets of Xandar, and are arrested and sent to The Kyln, a Nova Prison. They meet Drax the Destroyer, who wants revenge on Ronan. They team up break out and take the orb to The Collector..
You know what. Just see the damn movie. Explaining this film is to take the joy completely out of it. This one needs to be seen! No more plot! 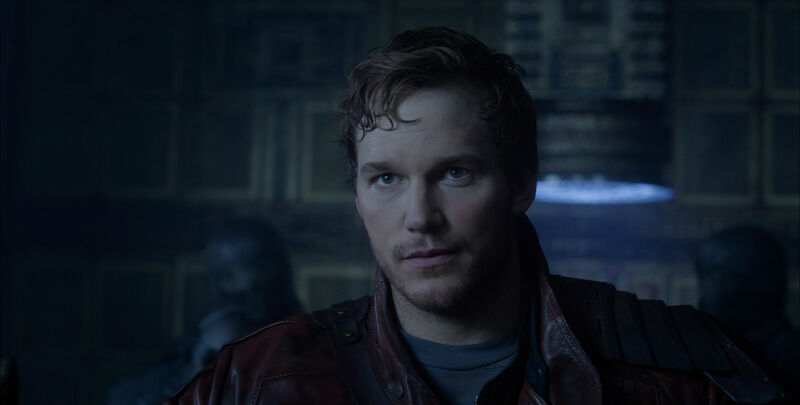 Star making role for Chris Pratt. I did not see him as the heroic figure from his work on Parks and Rec, but his is perfect. A friend of mine did not like the performance, but I thought he played this version of Star-lord wonderfully. This is a kid of the 80’s who got to go into outer space and become Han Solo. The dream of every boy, and many girls, of my generation. Zoe Saldana appears in yet another genre film! 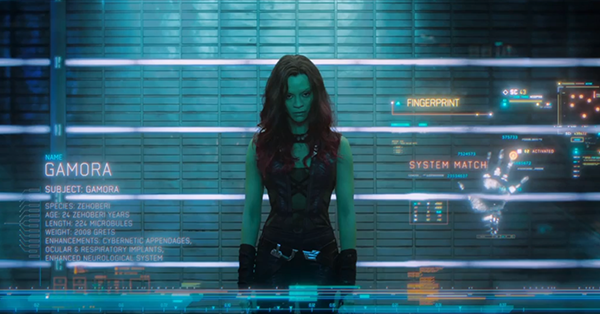 Gamora, “daughter” of Thanos. She has been a ruthless killer for Thanos and this is her chance to escape. A good performance. 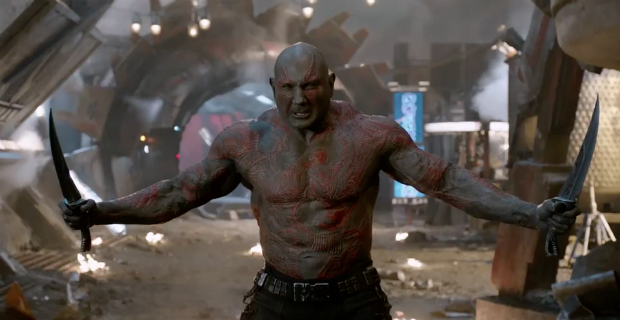 Bautista as Drax? Bautista can act?! He comes close to stealing the movie actually. If not for a couple of other knuckleheads to be mentioned next, he would be the break out character. Rocket Raccoon. In a movie. Let that sink in. 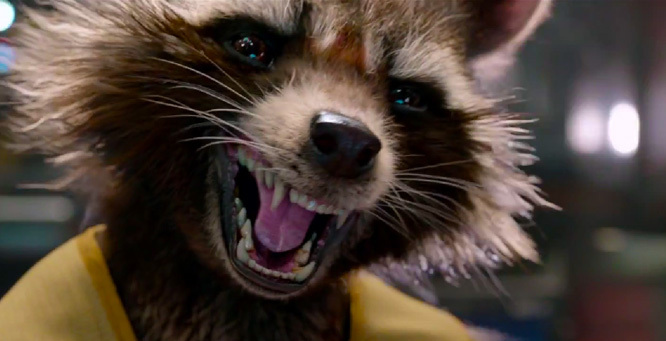 Bradley Cooper voices Rocket, and he plays like gangbusters. The attitude, the cuteness, it all works. He also almost steals the picture, but is beaten to the punch by our final member of the team. I. AM. GROOT. That’s all he really says in this movie. That is all he needs. Lee Pace, Thranduil from The Hobbit- Legolas’ father. No really, its him! He plays Ronan, our villain. Its the typical brooding villain role, but he does it well. 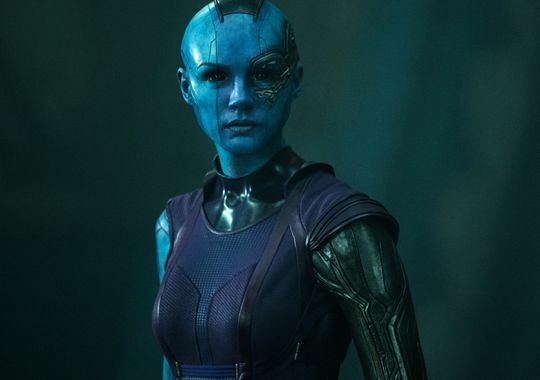 Nebula, another daughter of Thanos, who stays evil and fights our heroes is played by Amy Pond.Yes! That is a bald Karen Gillan! 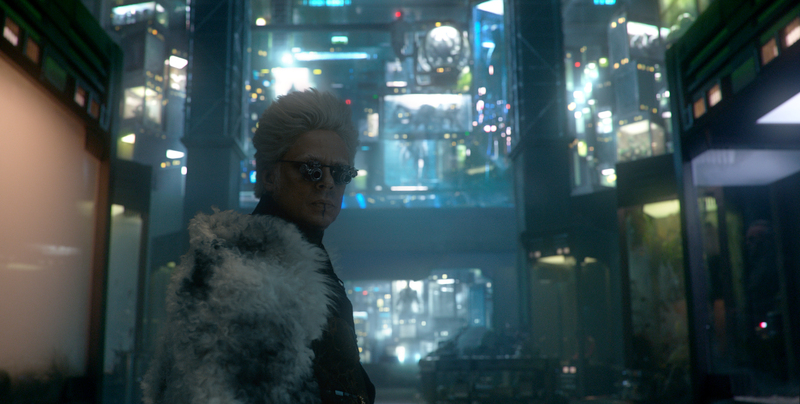 Benicio Del Turo returns as Taneleer Tivan, The Collector. Why is he trying to amass Infinity Gems? Who is he working for? No idea. I bet he pops up again before, or during, Avengers 3. John C Reilly, no really lol, appears as Rhomann Dey, Nova Corps officer. Beside him is Peter Serafinowicz who plays Denarian Saal also of the Corps. Trivia! Serafinowicz was the voice of Darth Maul. 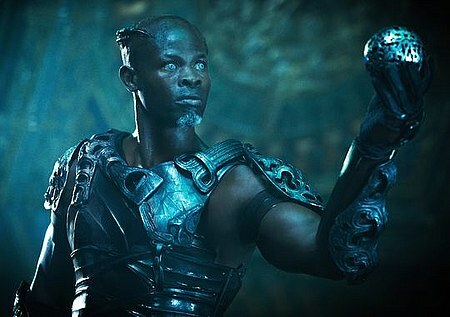 Djimon Hounsou is Korath, the Pursuer. I love of everyone has titles “The Collector, the Accuser, the Destroyer” lol. Josh Brolin as Thanos. We finally get another glimpse at him after the tag in Avengers. A welcome surprise! 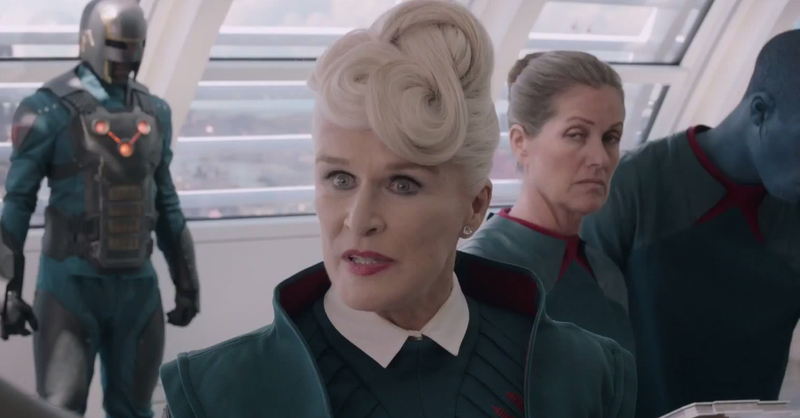 Glenn Close plays Nova Prime, leader of the Nova Corps. I must admit, I cannot believe I watched a film with the Nova Corps. This is it. This is where the Marvel Universe opens up beyond the Avengers. There were so many voices crying out against this film, and all are silenced. It might be the best movie of the year. It is the only one that I have seen more than once. Yes, I saw it twice, and there may be a third viewing later this week. It’s THAT GOOD. Be sure to stay until the very end of the credits. 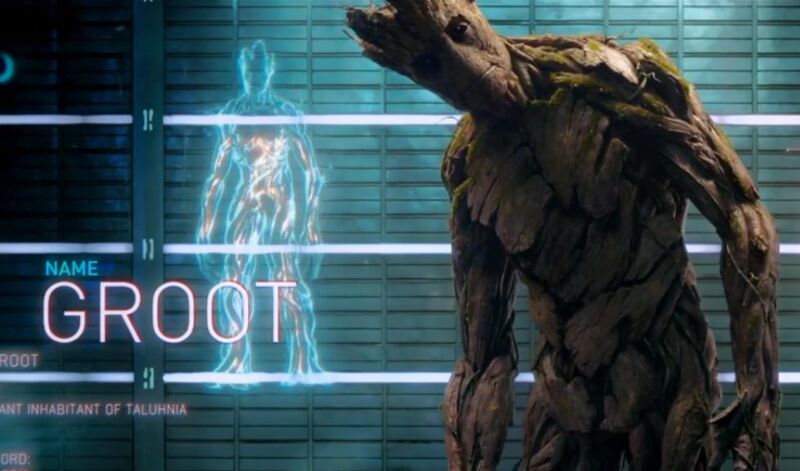 I won’t spoil that moment for you, but I will show you the scene that made Groot the true star of this movie..
Ah screw it. Here’s Howard the Duck, voiced by Seth Green. Good review. Had a great time with this movie. So much so that I wouldn’t mind checking it out again.